The Independent Municipal and Allied Trade (IMATU) is dismayed to learn of an altercation between protesters and police that landed some IMATU members in hospital and others needing treatment for shock. “Members from our Matlosana Branch reported a very disturbing incident that took place at the municipal offices this morning. From what we understand protesters stormed the building just before 9am. Municipal employees realised that something was wrong when scuffles broke out between protesters and security guards inside the building. The violence intensified when the police arrived on the scene shortly thereafter. I believe rubber bullets were fired and because protesters had breached the building’s security some of our members were caught up in the altercations between protesters and police. I have confirmation that members had to be taken to hospital and numerous employees treated for shock,” stated IMATU North West Regional Manager, Paul Greyling. 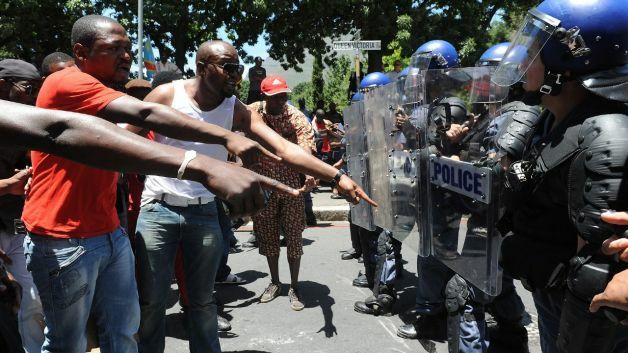 This incident is one of many examples highlighting the escalation of violent protests around South Africa. IMATU shop stewards confirmed that their members are routinely threatened and intimidated while trying to perform their duties. Municipal meetings have been disrupted, buildings occupied and municipal officials taken hostage. As recently as two weeks ago external parties disrupted a scheduled local labour forum meeting in Matlosana, demanding recognition and making proceedings impossible to run. While the motivation behind this morning’s protest still needs to be clarified, IMATU shop stewards believe the grievances relate to corruption, lack of resources, broader service delivery needs and job vacancies. “Municipalities are responsible for providing the community with basic services however, a number of these services fall outside the scope of local government or require collaborative efforts across all three tiers of government. It is becoming more common for protesters to direct their frustration at municipal buildings and infrastructure to express their dissatisfaction, irrespective of the origin of the problem or whether this falls under the ambit of the municipality in question,” explained Greyling. IMATU calls on the Matlosana Municipal Mayor to immediately address this situation and ensure that its members are provided with a safe and secure working environment. “IMATU will be requesting an urgent meeting with the Office of the Municipal Mayor in order to establish a satisfactory way forward that ensures the safety of our members. Members cannot return to a volatile work place where their safety is not guaranteed,” concluded Greyling. ATTENTION KOPANONG MUNICIPALITY MEMBERS AND SHOP STEWARDS! As part of the Free State Presidential Tour, the IMATU President: Stanley Khoza, Deputy President: Keith Swanepoel, Free State Regional Manager: Paul Greyling and shop stewards met with the Acting Municipal Manager, Acting Chief Financial Officer and Councillor of the Kopanong Municipality. Amongst a number of matters discussed, IMATU raised the serious concern of third party deductions and the need for the municipality to ensure that our member’s deductions are timeously paid over to relevant service providers to avoid any lapses in medical cover, pension contributions and insurance. 1. IMATU must be sent proof of up-to-date medical aid contributions, specifically addressing members’ concerns relating to the arrears from the past three months. 2. A request will be made directly to SALGA to include IMATU representatives at the upcoming meeting on 12 April 2019 to discuss pension funds. 3. IMATU has agreed that members are willing to return to work however, due to current safety concerns and restricted access to the work place this is not immediately possible. Until the safety of our members can be guaranteed, members in each town are required to identify a central meeting point for all employees to meet each morning, in order to sign the daily attendance register. After signing the register each day, members will return home until it is safe to resume their duties. 4. Members are responsible for ensuring that they sign the daily attendance register, this list is sent directly to Christiaan, who will then send on to Denise. Employees who do not sign the attendance register will unfortunately be subjected to the ‘No Work No Pay’ principle. 5. IMATU shop stewards have given their undertaking that IMATU members are not on strike and have fought hard to ensure that our members’ March 2019 salaries are not affected by the ‘No Work No Pay’ principle. From 1 April 2019 members who fail to comply with the signing of the attendance register will be subject to ‘No Work No Pay’. * Essential services members are please reminded that by indicating that you are willing to work, you are required to assist should the municipality call on you to help the community. 6. The municipality has confirmed that March salaries were paid. 7. Each town that does not have an elected shop steward must please elect a shop steward as per agreement with the acting Municipal Manager. When members meet in their respective towns to sign the attendance register, those still needing a shop steward representative are requested to please elect a shop steward as soon as possible. The elected shop steward is requested to personally ensure that his/her contact details are sent to Ms Denise Retsinas on 082 443 3725. 8. Members must indicate to their shop stewards which different third party funds they belong to. After compiling a list, shop stewards are requested to send this through to Ms Retsinas. IMATU is in the process of drawing up a mandate form that will be used to get the required information from the different funds. 9. All current and newly elected shop stewards in the affected towns are requested to please send through your details to Ms Denise Retsinas on 082 443 3725 (name, surname, town/branch and contact details). 10. The IMATU shop stewards, officials and staff are congratulated for their efforts thus far. The dedication of your elected representatives has ensured that this situation is being resolved in as soon as possible with limited impact to members. The wellbeing and protection of our members is of paramount concern. They will continue to work towards the swift resolution of these problems but need your support to ensure success. Thank you to the shop stewards for providing leadership and our members for their support. IMATU is working together for you! http://www.imatu.co.za/wp-content/uploads/kopanong_municipality.jpg 555 1164 Anja Muller-Deibicht http://www.imatu.co.za/wp-content/uploads/imatu-logo-slogan.png Anja Muller-Deibicht2019-04-04 11:52:022019-04-04 17:10:14ATTENTION KOPANONG MUNICIPALITY MEMBERS AND SHOP STEWARDS! The Independent Municipal and Allied Trade Union (IMATU) is disappointed by the Monetary Policy Committee’s (MPC) decision to keep interest rates on hold at 6.75%. IMATU believes that the Reserve Bank missed an opportunity to lower interest rates. Consumer Price Inflation (CPI) is presently recorded at 4.1%, falling below the 4.5% mid-point of the South African Reserve Bank’s (SARB) inflation targeting range. Based on the Bank’s own forecasts, headline inflation is expected to remain below 5% this year, with annual CPI calculated at 4.8%. “While we understand that the mandate of the MPC is to target inflation, we remain concerned by our country’s poor domestic growth forecasts and escalating unemployment figures. Many of our members and South African consumers are cash-strapped, financially burdened and indebted. Consumers are expected to pay substantially more for fuel and electricity, which automatically affects the price of transport, food and other household expenses. South Africans have only seen two interest rate decreases in the past five years despite the country’s inflation forecast sitting comfortably within the Reserve Bank’s target range of 3-6%. The lowering of interest rates could have provided consumers with financial respite, increased disposable income and promoted growth through enhanced household spending capacity,” reasoned IMATU General Secretary, Johan Koen. 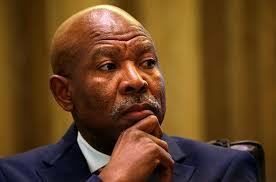 The Reserve Bank has only decreased interest rates twice in the past five years. In July 2017, despite projected inflation rates of 5.3%, the Reserve bank lowered interest rates by 25 basis points and interest rates were again lowered in March 2018. IMATU believes that our current economic situation almost mirrors that of March 2018 when headline inflation was recorded at 4.0% and projected CPI at 4.9%. As the Reserve Bank lowered interest rates then, IMATU cannot understand the justification for increasing interest rates in November 2018 and now leaving rates unchanged. Six separate interest rate hikes since 2014 have done little to improve South Africa’s Gross Domestic Product (GDP) growth or mitigate the depreciation of the Rand. Annual GDP continued to decline throughout the Reserve Bank’s increased interest rate cycle between 2014 and 2017, settling at a meagre o.8% at the end of 2018. Furthermore, historical exchange rate records highlight the disconnect between increased interest rates and attempts to promote long term currency stability. At the start of the interest rate increase cycle, the Rand was trading at R10.97 to the Dollar and has steadily weakened to the present value of around R14.68. “We will be closely monitoring Moody’s credit rating announcement tomorrow. Moody’s is the only international ratings agency still recording South Africa at investment grade and has consistently cited weak economic growth as a reason for further downgrades. While acknowledging the Reserve Bank’s mandate to target inflation, IMATU would welcome the inclusion of factors such as economic growth and employment when making decisions pertaining to the country’s interest rate,” concluded Koen. High unemployment, low economic growth and overstretched consumers necessitate the need to provide financial relief where possible. IMATU believes that this missed opportunity will exacerbate already unbearable financial pressure on consumers.